The Grand Teton Discovery and Visitor Center in Wyoming. 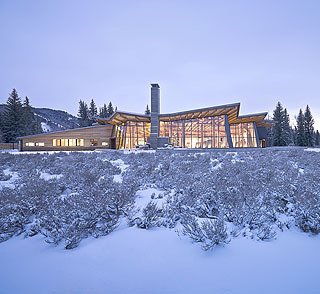 The Grand Teton Discovery and Visitor Center in Wyoming, designed by Bohlin Cywinski Jackson, received an Honor Award at the 2009 AIA Seattle Honor Awards on Monday night. It was one of four honor award winners.